Recommendation encourages the city to explore the feasibility of providing free menstrual supplies to shelters, drop-in centres and other spaces catering to marginally-housed women, youth, and trans individuals. Tampons and pads fill the office cupboards for Nellie's women's shelter. That's because, at any point during a given month, around 30 women are on their periods while using the Toronto facility. "Can you imagine the number of sanitary pads we need?" said Margarita Mendez, the executive director. Shelters like Mendez's don't receive funding targeted at menstrual hygiene products, so they wind up buying supplies or seeking donations for their homeless and street-involved clients who typically can't afford them on their own. But this week, a motion heading to city council is calling on the city to take on that burden. The recommendation, put forward by Coun. Kristyn Wong-Tam, encourages the city to explore the feasibility of providing free menstrual supplies to shelters, drop-in centres and other spaces catering to marginally-housed or homeless women, youth, and trans individuals. "The stories I've heard about women using newspapers or even rags to contain the menstruation, it's heartbreaking," said Wong-Tam. Marginalized women on their periods might wind up skipping housing appointments or job interviews because they don't have proper supplies, she added, which puts them at an even greater disadvantage. Wong-Tam's motion is out roughly a month after Mayor John Tory declared May 28 as 'Menstrual Hygiene Day' in Toronto. "It really is about restoring people's dignity and giving them access to better health," Wong-Tam said. Nellie's staff are already welcoming the possibility of free supplies for their clients. "When we run out, we post a tweet and people support us," said manager of development Ingrid Graham. "It's not something we should have to do." Wong-Tam said the need is even greater at shelters catering to all genders, where menstrual hygiene products aren't top of mind like toilet paper or paper towels. Data the councillor obtained from the Canadian Centre of Economic Analysis shows it would cost nearly $2 million to provide tampons, pads, and other menstrual hygiene products to roughly 22,000 women in shelters and school-age girls from low-income brackets across Toronto. She took inspiration from a similar initiative in New York City; in 2016, councillors there voted unanimously to provide free products to women and girls in shelters, schools, and prisons. 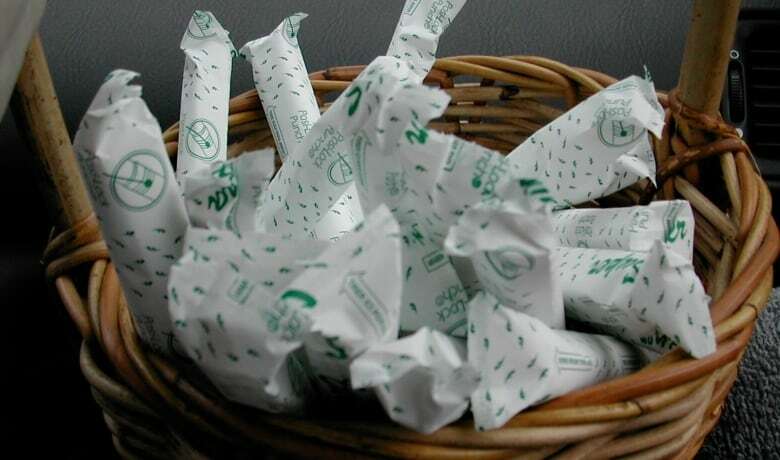 Providing roughly two million tampons and 3.5 million pads at shelters alone was expected to cost an estimated $540,000 each year, according to Vox. On this side of the border, Wong-Tam said the money could come from a combination of city funding and corporate partnerships — details that would be worked out later if council supports her motion this week. "If there's any reason for it not to happen, it's probably because there's a bunch of men making decisions for women," she said.